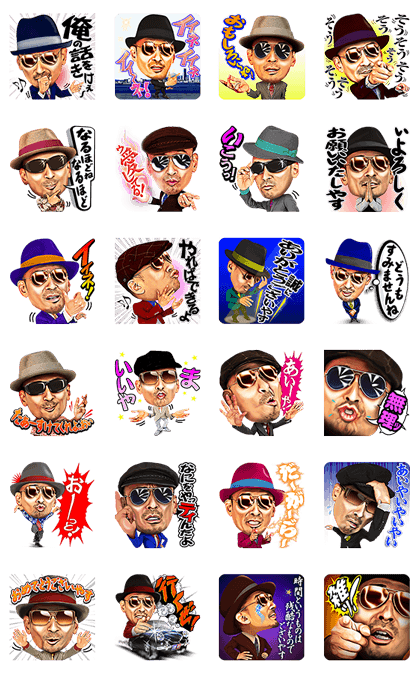 http://www.line-stickers.com/ – II NE! 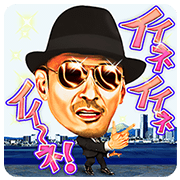 Crazy Ken Stickers Line Sticker | Get ready for these voice stickers from Ken Yokoyama, chief executive vocalist of the hottest coolest “sound machine” in Asia, Crazy Ken Band! Use ’em to get your chats rolling; your friends will be sure to love them! When tapped, these stickers will play on iPhones even in silent mode. Publisher : FUJIPACIFIC MUSIC INC./DOUBLE JOY RECORDS,Co.,Ltd. Copyright : FUJIPACIFIC MUSIC INC./DOUBLE JOY RECORDS,Co.,Ltd.